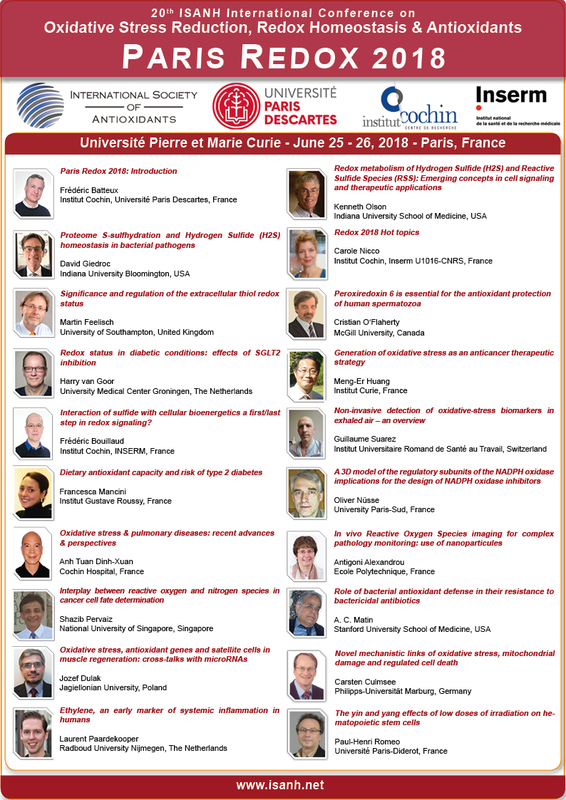 The scientific committee of Paris Redox 2018 awarded Prof. Harry van Goor for his contribution about "Redox status in diabetic conditions: effects of SGLT2 inhibition". After his excellent presentation during Paris Redox World Congress 2017 and 2018, Prof. Harry van Goor from University Medical Center Groningen, The Netherlands, was elected and awarded by the Scientific Committee. All our congrulations to Prof. Harry van Goor. Materiel & Methods: Serum R-SH were measured in a large cohort of patients with DM type 2. Furthermore, we evaluated R-SH in DM type 2 patients treated with SGLT2 inhibitors. Results: Taken together serum R-SH statistically correlates with macrovascular complications and Hba1C in type 2 DM. SGLT2 inhibition improved the diabetic profile without influencing Redox status. Conclusion: These studies demonstrate a positive association between R-SH concentrations and disease status in T2DM. The absence of effects of SGLT2 inhibition on Redox status may indicate ongoing oxidative stress in the presence of an improved diabetic profile. These data are of interest as R-SH are amenable to therapeutic modulation and may therefore be a potential target for therapy.